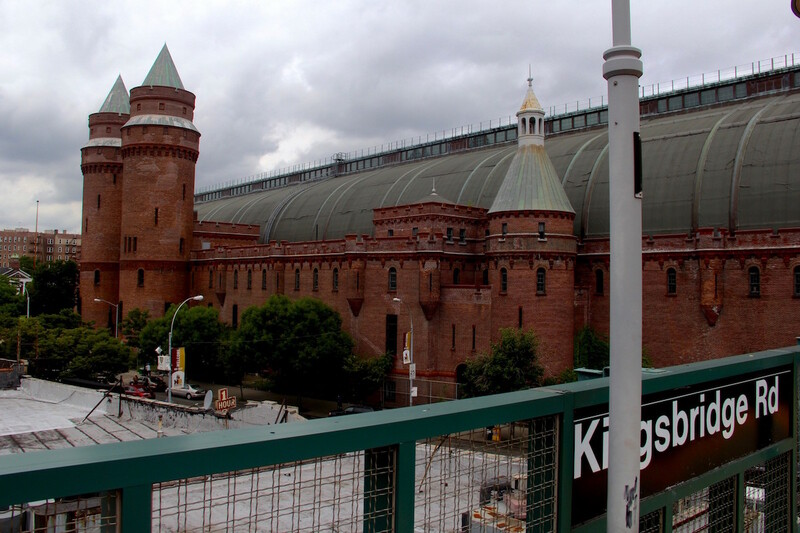 Plans are underway for the 750,000-square-foot Kingsbridge Armory in the Bronx to become the world’s largest ice-skating complex, according to its developers. Crain’s New York reported that the development duo of Kevin Parker, former Deutsche Bank executive, and Mark Messier, former center for the New York Rangers, have secured financing for phase one of their $350 million project, which they plan to begin constructing mid-next year. Parker said that Citibank has promised his group, Kingsbridge National Ice Center, a significant loan for construction to be paired with the $35 million already raised through private investment. If approved by New York City officials, the first phase of construction would include the build-out of the 5-acre site into nine rinks, athletic facilities, and a 5,000-seat stadium. Construction for phase one would likely total $170 million in overall costs and Parker hopes to raise money for the remainder of the project in order to complete it by 2022. The Kingsbridge National Ice Center has been a six-year dream in the making for Parker and Messier. The city currently owns the armory and hasn’t given the pair a lease, telling the duo that the city would wait until further financing was secured. The new fundraising news presumably means that the city will be ready to greenlight the project. Earlier this year, Governor Andrew Cuomo pledged to give the project a $138 million loan to help it find long-term financing after phase one is done. Parker and Messier’s idea for an ice facility beat out other proposals that would have transformed the century-old red brick building into either a film and television complex, a mixed sports center, or a chess center. A highly-contested site, it was designated a New York City landmark in 1974 and was heralded as a leading example of military architecture. The armory originally housed the National Guard and features an 800-seat auditorium and a 180,000-square-foot drill hall. The nine-story structure includes an iconic, curved, sloping metal roof that can be seen from the Major Deegan Expressway and from the surrounding neighborhood near Fordham University.